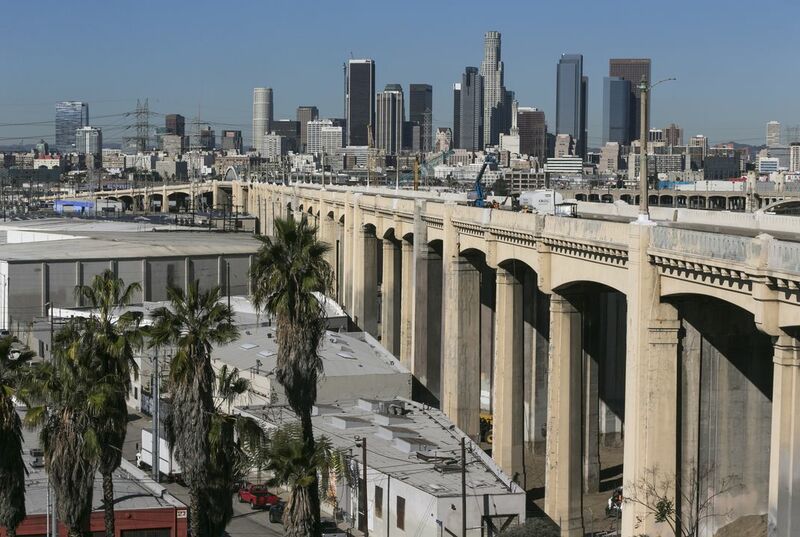 I didn't know that the 6th Street Bridge was used in many Hollywood films. People are trying to break down the bridge and build a new one later. They have blocked off some roads so that people who are driving will not be hurt or caused trouble. Many people are taking notice of the detour ways and the warnings that people have put. The bridge has been there since 1932 and the concrete is a little weak and worn-out. The bridge will be replaced by a roadway sometime in two thousand nineteen. There will also be arches over the roadway. It was a great story and they only reopen it for the superbowl. Are they planning to rebuild a bridge similar to this one but make it stronger to the chemicals in which weakened the concrete in the other? I don't think it the Famous LA Bridge should be taken down! If there is damage they should still leave it up for history. It could be a piece of history in the movie making industry. The LA bridge was used in so many movies because of the beautiful scene of the location. When they used it in Grease, it became more well known by other producers looking for a beautiful bridge to film a action scene or something like that. I thought this article was interesting because I like how so many famous movies were filmed close to where i live. I think the bridge was used in so many movies since it is somewhat like a symbol of Los Angeles people may enjoy seeing such a famous bridge used by actors and actresses. It’s a natural attraction for tourist. Movie directors also use the bridge for its length and the view from the bridge can be a pleasant background for the high action chase. A 220 foot downtown bridge that has been in many Hollywood movies has been taken down. The 6th Street Bridge has been in many films. "Grease, Terminator 2, and Gone in 60 Seconds" to name a few. The bridge spans U.S. 101 freeway and the Los Angeles River. A 2.5-mile section of the freeway was closed Feb. 5 and tons of concrete crashed down on it as workers took it apart. The bridge was built in 1932 and has been suffering from a chemical reaction that has weakened the concrete. A 2019 opening has been set and will cost $449 million. The bridge was used in so many movies because it is cool looking with large concrete pillars and the Los Angeles city in the background. I imagine at night it is really impressive with all the lights from the city in the background. I liked the article and can't wait to see what takes it place. The bridge was in so many movies because in 1932 when it was built was considered state-of-the-art and had a beautiful view. I think this is interesting that they would take it down because other movies might have wanted to been shot there. The bridge was very popular in movies because of its size length and design.It can support long chase scenes in movies also it was very advanced when it was built. It was very popular for Hollywood and was used in movies such as "terminator 2" "Grease"and "gone in 60 seconds" stated in paragraph 5. I found this article interesting because I remember personally visiting the bridge and i will be sad now that it is gone but happy they will replace it in 2019 even though that a long time from now.